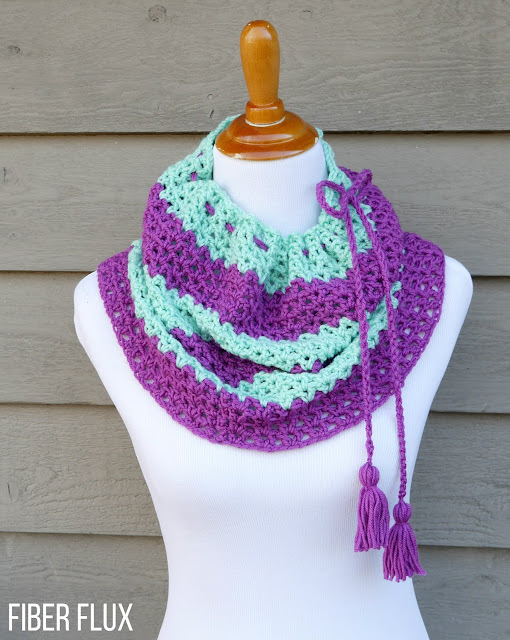 The Raspberry Mint Tassel Cowl is a lovely and fully adjustable cowl for the cold months ahead. 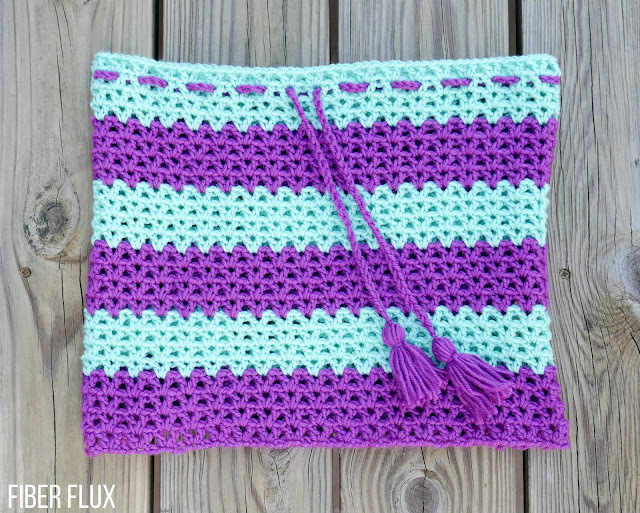 Beautiful colors and easy stitchery make it a fun project too! 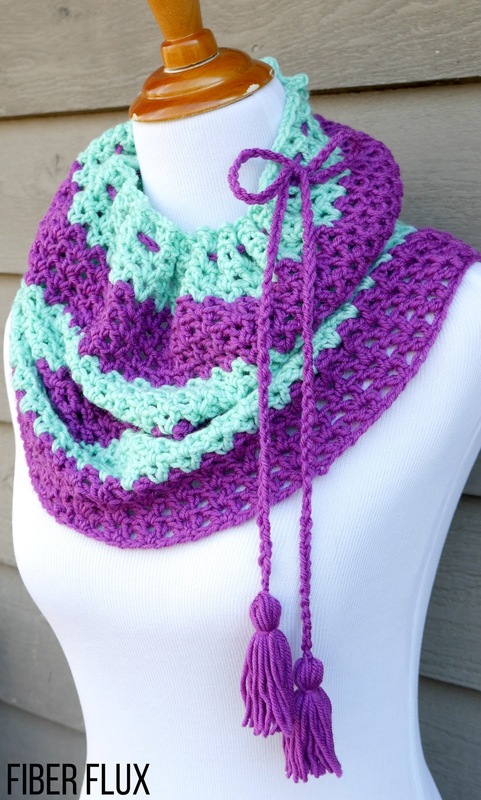 Use the drawstring to snug it up close to the neck for a bit of extra warmth or wear it like a traditional cowl! 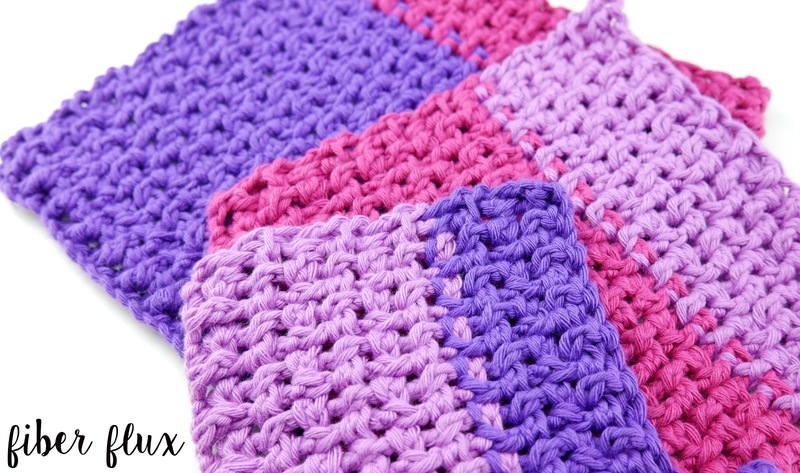 Learn more about Chic Sheep Yarn here! Ch 120, join with a sl st in the furthest ch from the hook. Round 1: Ch 4 (counts as a dc and a ch 1), work a dc in the first ch. *Skip 2 ch and in the next ch, (dc, ch 1, dc). Repeat from * to the end of the round. Join with a sl st in the starting chain (from beginning of round) in the third ch up to close the round. Round 2: Ch 4 (counts as a dc and a ch 1), work a dc in the first V of the round (this on is a little different because it is made with a ch 4 + 1 dc). *Work a (dc, ch 1, dc) in each ch 1 space from the previous round (center of each v). Repeat from * to the end of the round. Join with a sl st in the starting chain (from beginning of round) in the third ch up to close the round. Repeat round 2 until your cowl measures about 12 inches tall. Fasten off and weave in any ends that remain. To add the drawstring tie, make a chain as long as you like (I made mine the circumference of the cowl plus each end about the height of the cowl for ease of tying it together...45 inches total). 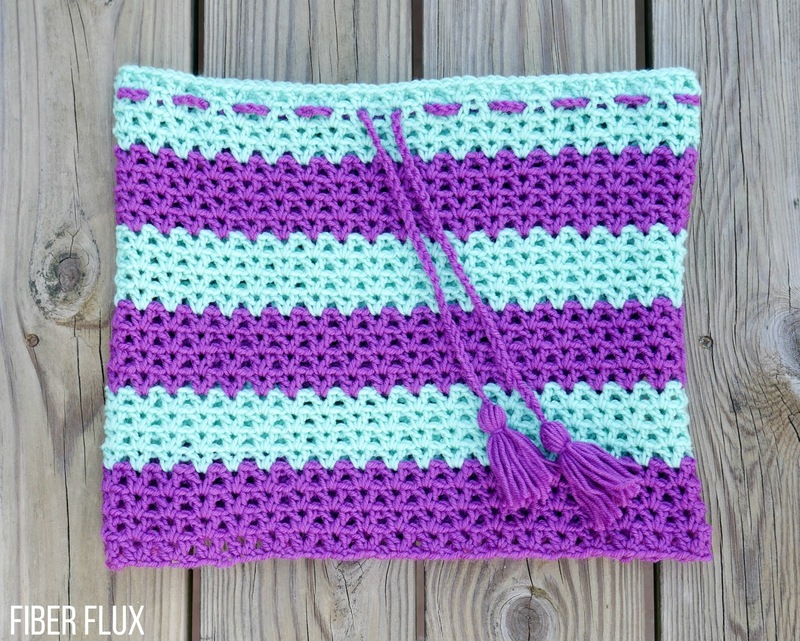 Using a large tapestry needle, thread one of the ends and weave the drawstring through the top edge of the cowl. Make two tassels (see video if you need help) and tie them onto each end. Weave in any ends that remain and you're finished! 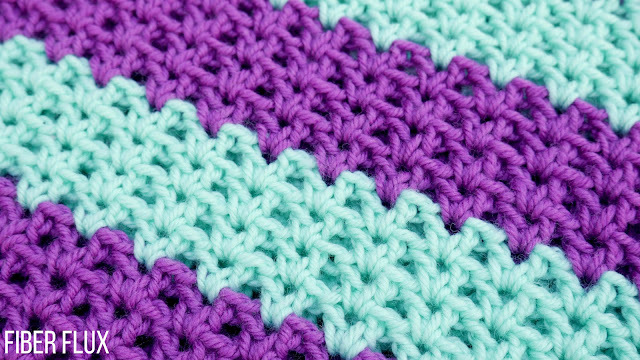 When will this pattern be available to add as a project in my Ravelry queue?